화이트호스(Whitehorse)는 유콘 준주의 주도로 유콘 준주에서 가장 큰 도시이다. 인구는 2006년 기준으로 24,151명이다. 최근에 일자리가 많이 생기면서, 인구가 빠르게 늘고 있다. 화이트호스 국제공항이 있으며, 알래스카 고속도로가 지나간다. 화이트호스에서는 건물의 높이가 4층 이하로 제한되어 있다. ↑ “Whitehorse A”. 《Canadian Climate Normals 1981–2010》. Environment Canada. Climate ID: 2101300. 2014년 7월 30일에 확인함. ↑ “Whitehorse”. 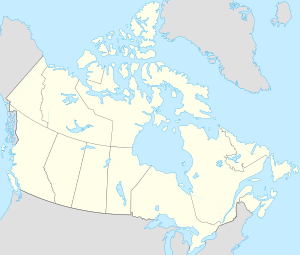 Environment Canada. 2015년 9월 22일. 2016년 6월 16일에 확인함. ↑ “Daily Data Report for January 1906”. Environment Canada. 2015년 9월 22일. 2016년 6월 16일에 확인함. ↑ “Daily Data Report for January 2009”. Environment Canada. 2015년 9월 22일. 2016년 6월 16일에 확인함. ↑ “Daily Data Report for July 2009”. Environment Canada. 2015년 9월 22일. 2016년 6월 16일에 확인함. ↑ “Daily Data Report for March 2016”. Environment Canada. 2015년 9월 22일. 2016년 6월 16일에 확인함. ↑ “Whitehorse Riverdale”. Environment Canada. 2016년 6월 16일에 확인함. ↑ Climate data was recorded in the area of downtown Whitehorse from July 1900 to March 1942 and at Whitehorse Airport from April 1942 to present. 이 문서는 2019년 2월 19일 (화) 11:09에 마지막으로 편집되었습니다.